Kushiage is one of the most popular food in Osaka, and this restaurant offers the kushiage on top of rice. When you are here, you must try the shrimp. 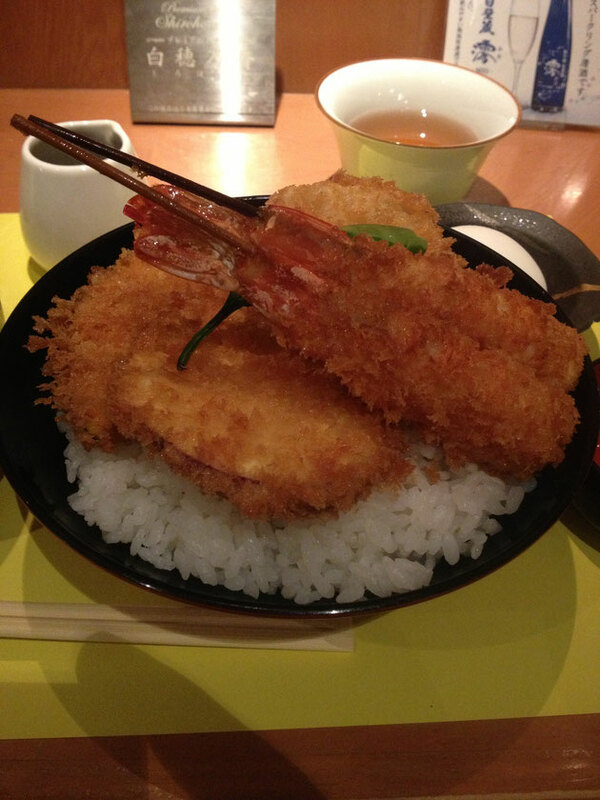 Ebi Katsu Don has 2 big shrimp fries on top of everything, and putting on the sauce made with balsamic vinegar gives it a rich taste you will never forget.